London [UK], Oct 18 (ANI): Renowned street artist Banksy has put a full stop to all the conjectures and clarified that the auction house was not aware of the art-shredding prank. Manipal (Karnataka) [India], July 30 (Businesswire-India): A team of doctors led by Dr. Shamee Shastry from the blood bank of Kasturba Medical College, Manipal identified a rare blood group called 'pp' or 'P null' phenotype. ABO and Rh D are the commonly typed blood group systems. 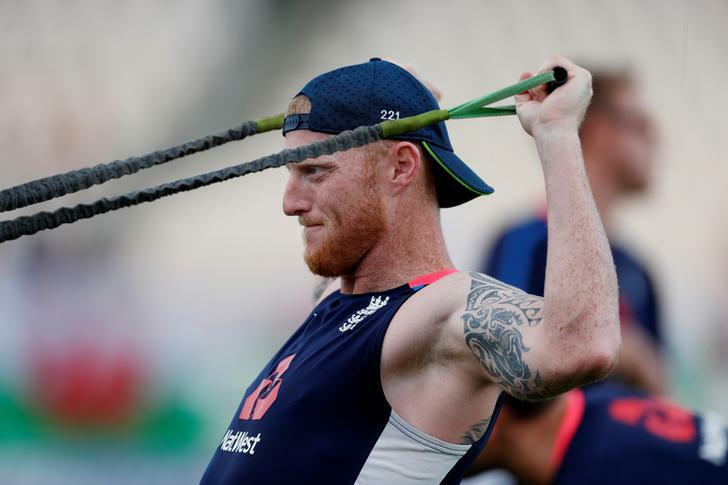 Hamilton [New Zealand], March 13 (ANI): England all-rounder Ben Stokes' hopes of making a Test return suffered a major blow as he has been ruled of his side's two-day warm-up match against New Zealand XI due to a back injury. Bristol [United Kingdom], Feb 17 (ANI): An earthquake of magnitude 4.9 on the Richter scale struck Bristol in the United Kingdom (UK) on Saturday at 8 pm (IST). London [U.K.], Feb 17 (ANI): After landing in New Zealand, Ben Stokes practiced with his England teammates as the all-rounder is preparing to make his international return. New Delhi [India], Jan 25 (ANI): With the Union Budget scheduled to be presented in a week's time, the hospitality sector is anticipating reforms that will benefit the industry and the luxury segment. New Delhi [India], January 18 (ANI): All-rounder Ben Stokes might have to wait longer for his England comeback as he has to appear before Bristol Magistrates' Court on February 13 to answer a charge of affray. London [UK], Jan. 15 (ANI): England all-rounder Ben Stokes has said that he was keen to clear his name after being charged by the Crown Prosecution Service (CPS) with affray over the brawl outside a Bristol nightclub. London [UK], Jan 15 (ANI): England all-rounder Ben Stokes has been charged with affray over the brawl outside a Bristol nightclub.